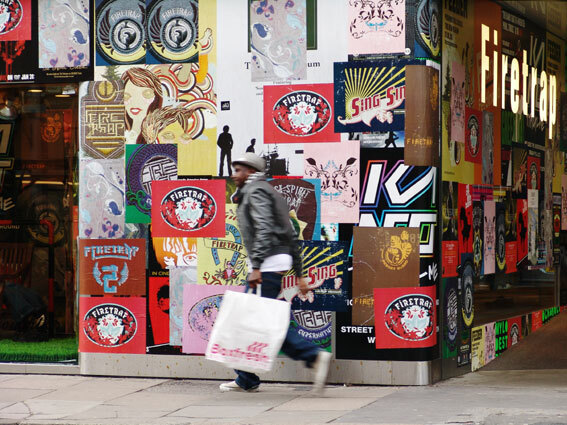 Working with Brinkworth to paste up Firetrap concept stores around the UK. 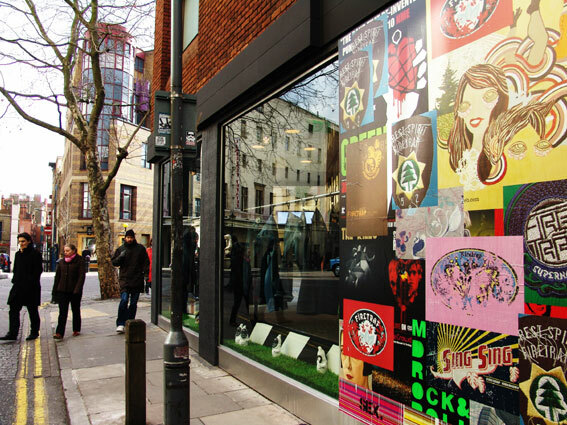 We created custom fly-posters to paste up inside and out and mixed brand posters in with current music and film posters to keep things current. 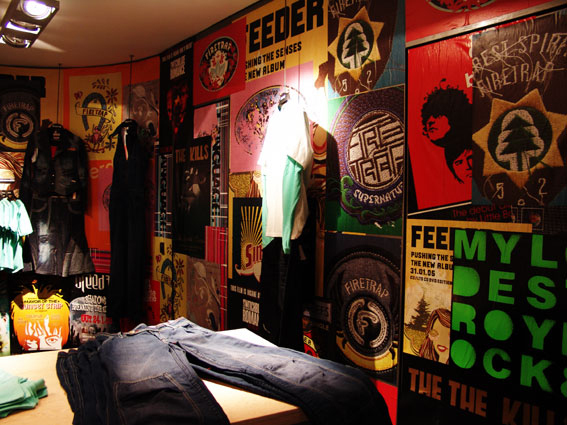 The concept was rolled out to various stores and department store outlets around the country.